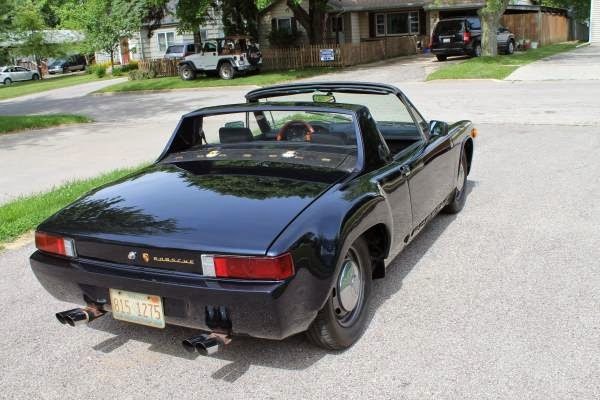 Buy Classic Volks – Porsche 914 for sale in Woodstock, Illinois, United States. 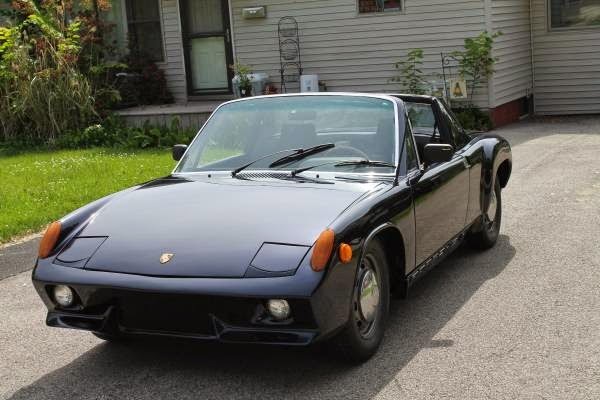 It’s a Porsche 914 built in 1972 comes with 1.7-liter, 5-speed manual has 63,075 miles, Midnight Blue with Pearl exterior, Black interior. 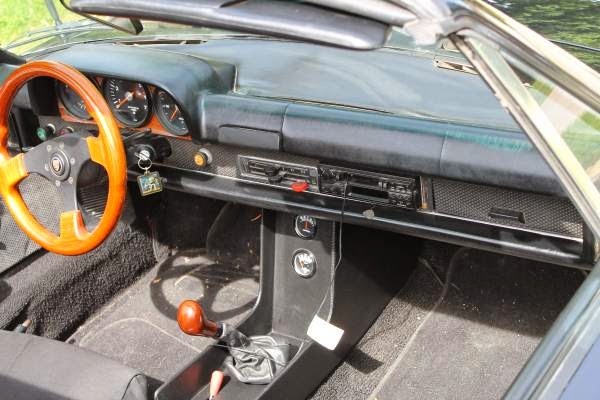 1972 Porsche 914 with 1.7 L engine and 5-speed manual transmission. I bought the car in 1997. 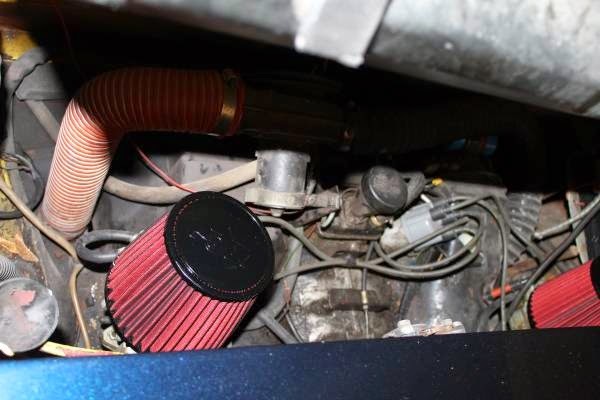 Car comes with extra targa top, clam shells, extra dashboard, wheel spacers and brand new 3-stack carburetors. Not original color (original color yellow), when I got the car it was painted blue. I recently repainted it midnight blue with pearl after having 916 front and rear bumpers and 916 rear flairs put on. 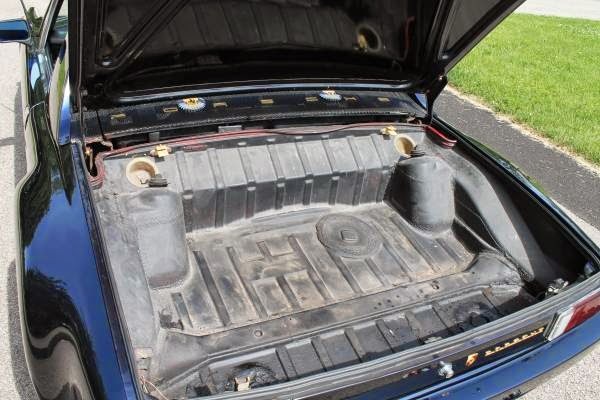 The car also has new floor pans and the underside is painted with POR15. Everything on the car works: lights, stereo, etc. Porsche emblem on front of car. Includes Haynes owners Workshop Manual and Pat Braden Weber Carburetor Book. I don’t know if mileage is original, may or may not be. Not a show car but a very nice quality. I always kept it in my garage. This car is a blast to drive and it gets tons of attention on the road. I know of nothing wrong with the car, but it’s 42 years old so take that into account. Vehicle is sold in AS-IS condition. 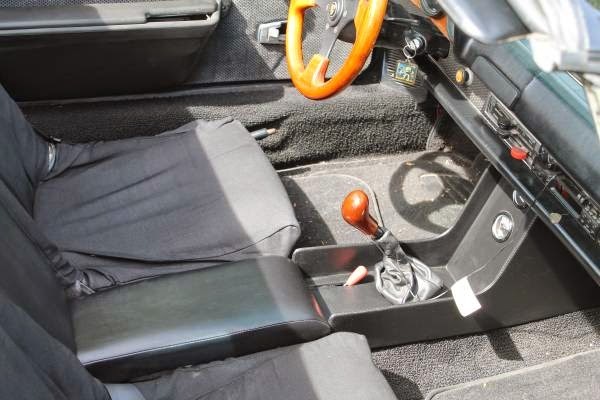 This entry was posted in 1972, 914, Closed, Porsche, USA and tagged Porsche 914 on August 25, 2014 by buyclass.